NBA Youngboy a popular rapper was arrested for a case of him attacking his girlfriend, the artist was arrested right before his concert yesterday in Tallahassee, Florida. With report from Tallahassee Democrat, the rapper whose real name is Kentrell Gaulden, was caught up by the law yesterday through the Leon County Sherriff’s Office and was charge for kidnapping and weapons charges. 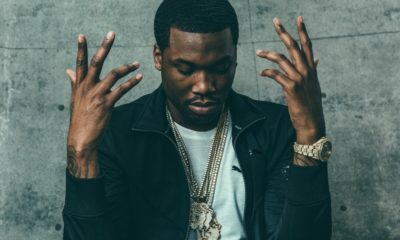 The rapper, hours before his arrest was caught on camera attacking his girlfriend, which is a crime and purnishable under the law. A video that was posted by TMZ online revealed, YoungBoy throwing his girlfriend Jania down on the floor of a hotel hallway in Georgia, dragging and manhandling her, while she screams. The noise and act was heard by the hotel guest who quickly alerted the front desk, who then called the police. However, the couple left led the hotel before the police arrived, but the evidence found in their room(which includes blood) room was enough to issue a warrant. TMZ adds that the rapper was arrested hours later after the police spotted his tour bus. Now, he is being held on kidnapping and weapons charges. However, Jania has taken to her social media to post a video in which she claimed that the commotion was only a ‘playful’ one. 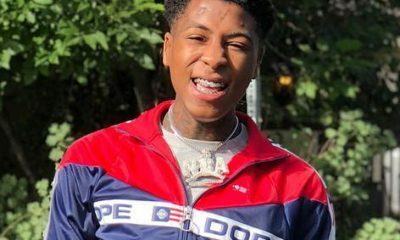 Youngboy will be arraigned in court on Monday morning.